10) Its design was not based on a photo in the July 1995 edition of Penthouse. 9) Men do enjoy being inside it, but only because of the beer and baseball. 8) There is not a little spot at the top that gets its roof to open wider. 7) It was not almost named Tampax Park. 5) The bushes outside the front gates do not, in fact, get trimmed regularly. 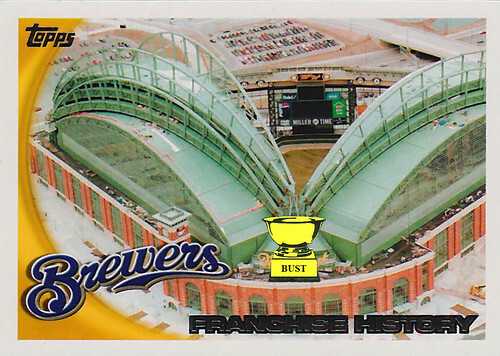 4) The odor emanating from Miller Park is nonexistent. The same cannot be said for most of Milwaukee. 3) Its nickname is not "The Big Vajayjay." 2) Just because it can hold 41,900 people at a time, that does not mean it gets around. 1) It does not close down temporarily every 28 days, otherwise known as "that time of the month."